Rosemary Howell, renowned lawyer and academic and Co-Founder of Strategic Action, based in Sydney, speaks about both the international and the Australian ADR landscape, the pivotal role of education and the need for more data in the legal profession. What is your background, how did you first get into dispute resolution? I am a lawyer by training and background and I discovered early in my career that law was not the love of my life. A series of adventures saw me join the team setting up the postgraduate practical legal training programme in Victoria which involved significant training in educational theory and practice. I loved it and had the good fortune to be allocated the practice management segment to develop and teach. Good fortune brought an offer from the Law Institute of Victoria (LIV) to run its continuing education programme and join the fledgling practice management programme which saw me consulting to 500 law firms in Australasia over three years. Serendipity continued to guide my career and I was offered the role of Secretary-General of the Law Council of Australia, the peak body representing the legal profession. Romance transplanted me to Sydney where I joined what is now Deloitte as Director of Legal Services to set up and operate a consulting service to Australian law firms. My own business beckoned and I established Strategic Action as a consulting and strategic advisory firm to professional service businesses. Undertaking my Masters introduced me to Dispute Resolution and my professor pushed me into undertaking my doctorate on ‘How Lawyers Negotiate’, a qualitative study of how our clients and those we work with see our negotiating skills. Serendipity continued to follow me and took me to the Harvard programme on negotiation as a student and later as a teaching fellow with Professor Roger Fisher. Offered the opportunity to teach interest-based negotiation at Masters level cemented the love affair and saw me enjoy the challenge of sessional teaching combined with a consulting practice which began to attract work we now call dispute resolution. This career has continued to develop and I now have the great good fortune to teach as a Professorial Fellow at the University of New South Wales (UNSW), a Senior Fellow at the University of Melbourne and run a practice as a mediator, facilitator, coach and bespoke trainer. The love affair continues. What is the approach to ADR processes in Australia? In many ways Australia has been a leader in adopting non-adjudicative approaches to dispute resolution. We have a wide range of legislative regimes requiring mandatory mediation prior to litigation and a growing understanding from the judiciary of what the benefits are. In many law firms and barristers chambers there are practitioners who have broadened their repertoire – embracing the full range of dispute resolution offerings. There are some great examples of innovative industry practices and one of the identifiable trends is the development of ‘bespoke’ systems designed for specific industries or types of conflict. One of our great lateral thinkers, Shirli Kirschner, has developed approaches across our industry that have turned our thinking about conflict on its head. 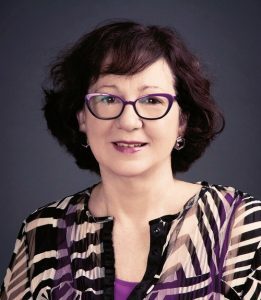 Her innovations include ‘Working with Right People for Country’ in the indigenous community and her work on Resolution Pathways for the Australian Performing Rights Association (APRA),where she designed a dispute system bringing parties together and directing them to an appropriate pathway via a sophisticated triage process. These innovations are not mainstream however and whilst we do have some inspiring innovators, our legal profession still has a long way to go before it could be described as showcasing innovative ways of resolving disputes. How do you think the global dispute resolution landscape is changing and will continue to change in future? I think one of the things the GPC Series did for us was to promote a global conversation. There is great opportunity for us to continue that conversation and share our views about how the landscape is changing and how we can be catalysts for change. For example, the GPC series highlighted the development of ‘bespoke’ practices (noted in my answer above). The shared examples of situation-specific processes will undoubtedly provoke more lateral thinking in the arena of dispute system design. Other shared experiences revealed the growing interest from general counsel in the role of the independent expert to conduct early neutral evaluation, to short-circuit lengthy and expensive litigation or arbitration. However, in Australia some things have not changed, and do not seem likely to change without significant pressure from users or other competitive forces. Here, facilitative processes dominate training and accreditation and this seems to be an international trend. However in practice, Australian lawyers have shown a significant preference for evaluative mediation and an approach in which the client is silent or absent (unless that client is an experienced general counsel). This is consistent with the qualitative feedback at the London GPC. I certainly agree with the consolidated GPC series data, reviewed at the London GPC, which shows the consistent view among all stakeholders internationally that lawyers present the greatest obstacle to change. That is a challenge for all of us to address. What role do you think education can have in driving change in how we resolve disputes? Education encourages and supports all our best endeavours and is a catalyst for change. We need dispute resolution skills to be part of our education programmes from early years. This is not yet commonplace although my own grandchildren, as pre-schoolers, were introduced to simple and useful dispute resolution tools. The international mediation moots are also driving change – providing a cross-cultural opportunity for the next generation of dispute resolvers to polish their skills and become change agents in the profession. Is there a greater need for data in dispute resolution? And why? How do you think this can better inform current processes? Law is an evidence-based profession and we lawyers are very risk averse. If lawyers are to be persuaded that there is an opportunity to deliver services differently and better, it will be because there is data that persuade them. Decisions based on data are always easier to make and more enduring. From my perspective, we have been practising in an anecdotal bubble, sharing information with our networks – but not having the data collection systems and processes to challenge and validate or dismiss our anecdotal assumptions. Data collection also supports an international approach and provides our community with reliable information about our similarities and our differences. Is there a need for greater harmonisation in dispute resolution? I am very challenged by this question. I find a great strength of the non-adjudicative processes is their flexibility and ability to respond in a situation-specific way. I fear a significant push towards greater harmonisation will constrict this versatility and force a ‘one size fits all approach’ to our work. Some accreditation programmes do this already. I would be happier if we all had better channels to share what we do and how we do it so we have the opportunity to influence and learn from each other and thus build international repertoire. It does not bother me that dispute resolution has so many faces so long as we are confident that users have the skills or the available support to recognise what works when and to make wise process choices.